Mercedes-Benz was so audacious when they launched their V6 version of the X-Class, the x350d, in a hangar in Cape Town last week that they boldly proclaimed it is more at home standing between private jets than among other bakkies. Make no mistake, the x350d is capable, on and off-road, with the new 3.0-litre six-cylinder diesel engine the obvious crown jewel. 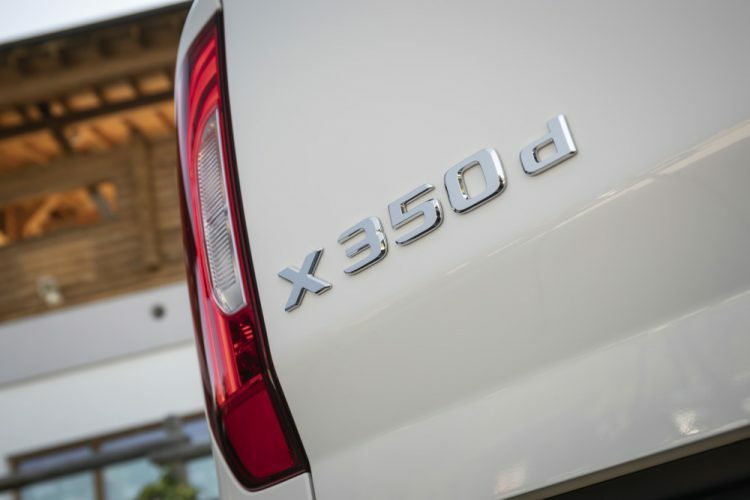 It produces 190kW of power and 550Nm of torque over a wide engine speed range from 1400rpm to 3 200rpm, which is a big step up from the 140kW and 450Nm produced by the 2.3-litre turbo diesel engine in the x250d. The numbers indicate this is the most powerful offering in the double cab segment, but it is hard to justify the price tag, which touches a million rand in the Power derivative. The top-of-the-range Volkswagen Amarok, which produces the same amount of torque and 25kW less power, slots in at R810 100; the flagship Ford Ranger with a price tag of R655 900 produces 147kW of power and 450Nm of torque while the Toyota Hilux 4.0-litre V6 powertrain offers 175kW and 376Nm or torque and will “only” set you back R667 100. It is also doubtful if the highly anticipated Ranger Raptor, to be launched next year, will come as close to the one bar-mark as the x350d. Mercedes says costumers have learned to appreciate the X-Class, since some initial bad press after its local launch last year, but those claims are hard to back up without sales figures, which the group doesn’t make public for individual models in South Africa. Mercedes-Benz is adamant the V6 will not only appeal to brand-conscious buyers but that it could also sway hard-core bakkie fans. Chances are there will be more x350ds parked in Sandton City’s parking garage than fitted with steel rails to enclose a cow on a farm road in the Free State. 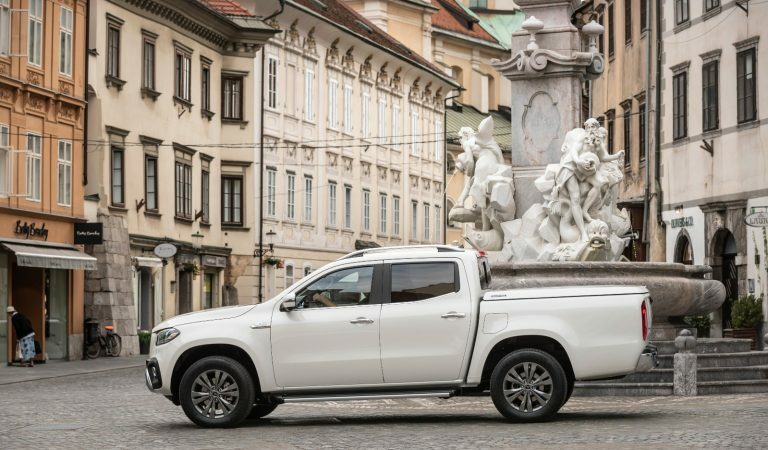 The fact of the matter is, the X-Class will have to earn its spurs among other tough guys in the local bakkie segment before moving on to aircraft – and that’s something they haven’t quite managed yet. In all fairness, the X-Class is Mercedes’ first stab at the segment and a very good first effort, but unfortunately nothing wow. The only changes from the x250d to the x350d, apart from the engine, are a few cosmetic touches, with the rest of the nagging issues which will get more attention at the midlife update. The V6 gave a good account of itself during our launch drives around the scenic Western Cape winelands, which included some testing eroded jeep tracks. The 4MATIC permanent allwheel drive with low-range reduction gear and differential lock on the rear axle ensures great performance and traction and enables the vehicle to effortlessly climb gradients of up to 45o. There are three all-wheeldrive modes to choose from: 4MAT for increased vehicle dynamics, 4H for improved traction off-road and 4L for tough off-road terrain. On tarmac it was a very comfortable ride and overtaking at high speeds was a pleasure. The 7G-Tronic Plus automatic transmission included as standard with steering wheel shift paddles operates with no interruption during gear changes. The wide gear spacing allows an individual driving experience via the dynamic select system, which offers five driving modes: comfort, eco, sport, manual and off-road. 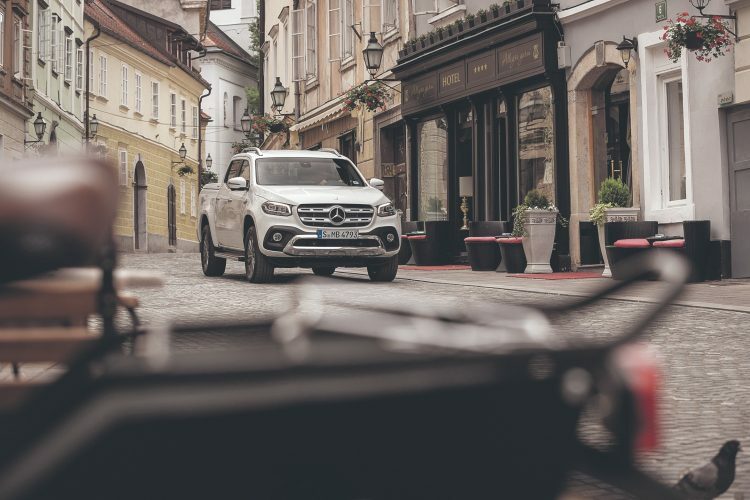 The X350d 4MATIC is available in the equipment lines Progressive and Power, both of which set new standards for comfort and perceived value in the midsize double cab segment. The Progressive line includes the following as standard: 17- inch six-spoke light-alloy wheels, air vents in electroplated silver chrome, leather-lined steering wheel and parking brake, the infotainment system Audio 20 and an eight-speaker system. 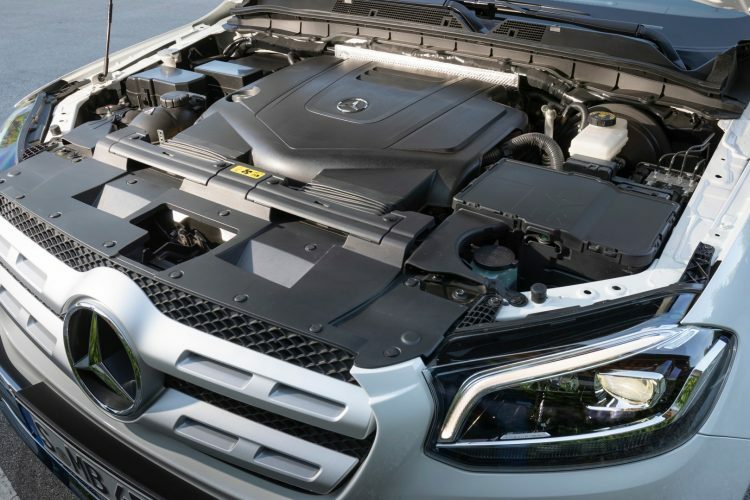 Standard features in the highend equipment-line Power include a simulated, chrome-plated underride guard in the front bumper, a chrome-plated rear bumper, 18-inch six-spoke light-alloy wheels, LED high-performance headlamps, electrically adjustable seats and the infotainment system Audio 20 with a multifunctional touchpad. 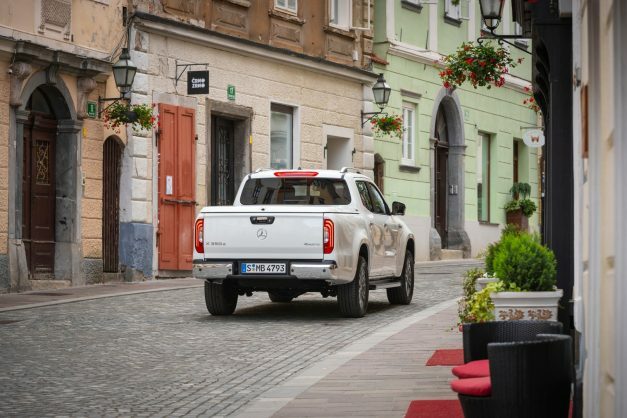 Mercedes-Benz Vans has designed an extensive range of accessories so that users can customise their individual X-Class V6 vehicles even further. Enough oomph under the bonnet. Gear lever housing cover incredibly lucky packet-ish. This bakkie is far too shiny to get scratched in the bush. The Merc badge on this vehicle simply doesn’t justify it’s price tag compared to its contemporaries.